Excellent neo prog album, sung in Polish, very beautiful and original. Some rush moments mixed with delicated melodies (emotive oboe, i.e., at "Michel De Nostredame"). The longer and changing track "Pokuszenie" shows the real ABRAXAS potential ( I love specially the last part with a wonderful guitar), and the final cut "Nantalomba" is one of these prog unforgettable gems (it seems a short symphonic overture, like an invitation to listen the album again and again). The rest is very good too. Highly recommended. Abraxas was the best neo-prog act from Poland, and "Centurie" is their absolute highlight - I have no doubt about it. Even though the musical motifs and arrangements are less complex than in their fantastic debut album's repertoire, I still find this repertoire as an improved endeavor, generally speaking, since the musical colorfulness is more diverse (in particular, regarding the addition of Gothic and exotic nuances), the sense of energy is enhanced, and the dramatic ambiences (both instrumentally an vocally) are better delivered, while the stereotypical progressive complexity is taken to a more subtle level. The ticking of a clock sets the pace for the dense, exotic 'Spiritud Flat Ubi Volt', which serves a proper prelude to the more epic-oriented 'Michel de Nostredame'. The epic stuff is taken to the realms of evocative melancholy in 'Excalibur', one of the most compelling Abraxas compositions ever - keeping a permanent 6/8 meter, it goes throughout its successive varied motifs fluidly, barely hiding the dramatic complexity that lies underneath sustaining the song's cohesiveness. Sandwiched between the two aforementioned tracks is the beautiful, delicate ballad 'Velvet', which kind of makes me think of Marillion's 'Cinderella Search'-meets-King Crimson's 'The Night Watch'. 'Kuznia' gets as metallic as neo-prog can ever be. for only 1 minute, 49 seconds - had it been developed further it would have made a real monster track, but all in all, I have no complaints, since it can be enjoyed as a prelude of fire to the two following epics, which seem to have been made out of air from the ethereal breezes that blow the hairs and gowns of the souls in limbo. The 10- minute 'Czakramy' has a first section that pretty much reminisces of the romantic drive that had been predominant so far, while its second section signals doom and tension, without getting too loud, yet the impending danger can also be touched in the sounds provided by the vocalist's urgent singing, the guitar's unearthly riffs, the wild synth solos, and the oppressive rhythm section. The following track 'Pokuszenie' keeps the same panache for gloom and darkness, actually making it even more intense in the harder passages, which evidently helps to build an effective pronounced contrast with the introspective ones. Last, but not least, after the display of musical gloom continuously displayed in tracks 6 & 7, here comes the pompous 'Nantalomba', which ends up the album with symphonic majesty, evoking images of an ancient palace during a royal celebration, where nobles and villagers at unison enjoy the spur of the moment. 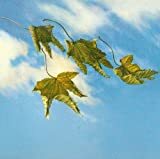 These flying colours fill a perfect epilogue for this neo-prog masterpiece of the late 90s. Oh, Abraxas, you are so sorely missed! If you spin this CD and got the first track rolling in your ears, I believe that you would disagree that this band is a neo prog band because the style is I think much more similar to Italian prog rather than English / Scottish neo prog. In fact, I might say that the opening track "Spiritus Flat Ubi Vult" (3:27) is like After Crying or Banco instead of Pendragon, IQ, Marillion or Pallas. 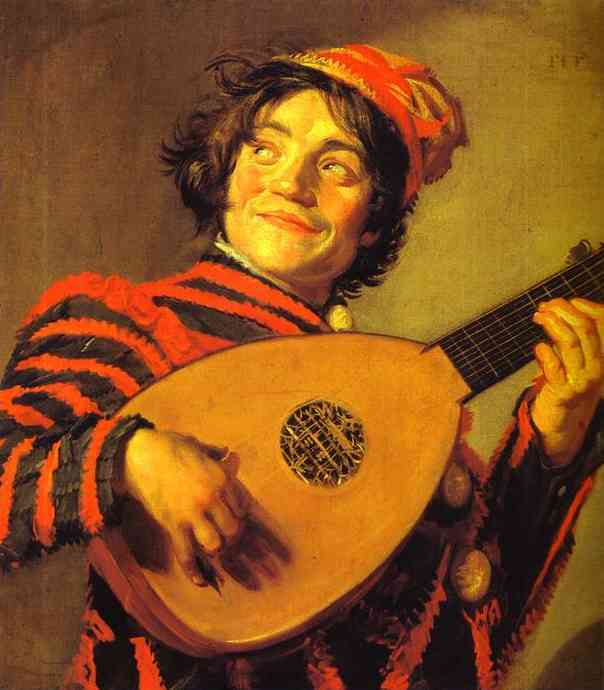 You bet, there are some guitar fills that remind us to the neo prog vein but it is swept by the overall music. "Michel De Nostredame-Mistrz Z Salon" (6:47) starts wonderfully with a keyboard sounds reminiscent of Procol Harum in modern style. In fact, this second track is very enjoyable - the music flows in relatively medium tempo with tight arrangement, changing tempos and nice melody (aha .. this is a main characteristic of any neo prog band!). The nice combination of guitar, keyboard and bass guitar have made this track so enjoyable. This is also the case with next track with much more accessible style "Velvet" (4:07). It has great acoustic guitar fills as the music flows, augmented with keyboard work which sounds like a clarinet sounds. "Excalibur" (7:44) starts off with an excellent combination of low register notes vocal with piano, brings the music in mellow style augmented with flute-like sound. The interlude part offers good guitar solo. "Kuznia" (1:49) is a nice symphonic break in relatively fast tempo with good guitar rhythm combined with long sustain organ sounds. Vocal enters in distant voice style. "Czakramy" (10:25) is a slow tempo tune with nice augmentation of acoustic guitar fills. The music moves into a rockin' style at approx minute 6. "Pokuszenie" (12:00) starts ambient with voice line in relatively silent mode followed with thin synthesizer sounds. The full music then follows in relatively slow tempo with soft guitar riffs and good drumming. The inclusion of flute sounds reminds me to old school prog music. It's a good composition that also includes a narration segment somewhere in the middle of the track just before the music turns up into a more dynamic sounds with a great combination of keyboard and guitar. Some breaks that feature piano solo and vocal are also nice. The guitar solo at the end of the track is really excellent and it's memorable and catchy - the characteristic of neo prog music. "Nantalomba" (4:21) concludes this album nicely. 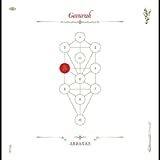 "Centurie" is a good album from Poland's band, Abraxas. For those who like Pendragon, Pallas or IQ might enjoy this album. The only lacking (?) if any is the variation between high and low ppoints which does not seem existed at this album. To me the music tends to sound flat - which is not necessary the case for every neo prog bands. If I compare with Marillion "Script for A Jester's Tear" where there was balanced combination of low point songs like "Chelsea Monday", "Script For A Jester's Tear" and high points like "He Knows You Know" and "Forgotten Sons" . Nevertheless, this is a good album that any neo prog fan should have. Keep on proggin' ..! I was really charmed with the first album of this very good Polish band and this second one is just another strong effort. Their lead vocalist Adam Łassa is outstanding. When you listen to the passion that perspires from "Michel de Nostredame" you can just be full of admiration with his talent. Even if you can't understand a single line of what he is singing (but this aspect will be taken in charge with an English version of this album). Subtle Spanish guitar notes, sweet vocals combined with some bombastic instrumental parts are an incredible mix. One of the best song of this album probably. It is a great song. Tout court. Whatever the genre involved. Their debut album was rather on the hard edge (even metal IMO). This one is more melodic (even symphonic at times). During "Velvet", the smooth (mellow?) melody, the warm and languishing keyboards and the very melancholic vocals during are such a marvel. When it is not on the vocal side, some other magic is showing up. Like those sweet flute notes or the great guitar work during "Excalibur". Each piece of music holds its passionate moments. And this is the main reason why I praise this band so much. Some metal riffs in the last section are a follow-up to their work on "Cykl Obraca Sie" (their first album). These metal sounds are back on track on "Kuznia" : a very short song (less than two minutes) and somewhat weaker than usual. But, let's not be to difficult. So far, it is the first time that one can be critical. The band is quickly reaching new heights with "Czakramy". The first long piece here. It is full of diversity and rhythm changes. As usual, Adam is so convincing during his vocal part. He is really brilliant. I guess that to be able to convey such an emotion in a difficult language (for a French native speaker as I am) is the proof that this guy has an enormous potential. Synthesizers are plenty during "Czakramy" and the end sounds rather apocalyptical. This band perfectly combines harmonious and very melodic vocals (their definite strong point, no doubt) with brilliant prog metal. I mentioned this already, but if you happen to be a fan of "Riverside", this band is really worth your attention. They paved the way without any doubt. Just listen to the whispering voice during "Pokuszenie" and you'll know where Mariusz Duda got part of his inspiration. This song is another complex one. Heavy sounds mixed with almost classic piano and sublime guitar work (similar in a way to the best of Nick Barrett from Pendragon). Twelve minutes of delicacy, passion and beauty. The absolute highlight, for sure. I am always quite reluctant to rate an album with five stars. Less than ten percent of my reviews reach that level which is just normal I think (and I have started them with the giants so this number will inevitably decrease in the future). This album is so great from start to finish that I can't really rate it with four stars. The extreme joy that emanates from "Nantalomba" is a wonderful way to close this magnificent album. Five stars. A fantastic album. Today I've decided to dust my CD collection and give this one a spin (btw, my version has no bonus). 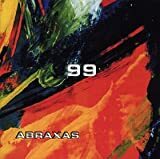 Abraxas followed up their classic debut with another good album which doesn't bowl me over the same way its brilliant predecessor did but still provides a strong platter of delicious neo- prog treats. 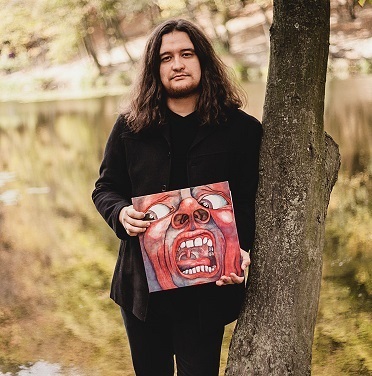 Though I found the outro to the concluding Nantalomba a little cheesy, by and large the compositions and atmosphere are superbly judged, and Adam Łassa once again gives an excellent vocal performance - there's a point where his vocals start getting all hot and bothered and I could have sworn I was listening to a Polish Jarvis Cocker. 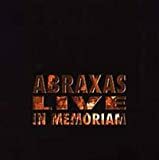 It isn't the wonderful exploration of the frontiers of neo-prog that the debut was, but Abraxas retain a strong claim to their territory with this one. With already a fantastic album out and a steady line-up, the doors of success had opened for Abraxas, even if the Progressive Rock scene was just a small part of the whole music map.The group, besides their own concerts, played live next to important names such as Arena, Fish, Porcupine Tree, Colin Bass and Robert Plant/Jimmy Page.In search of a better distribution Abraxas also changed label, moving from Ars Mundi to Metal Mind, on which they released their second album ''Centurie'' in 1998. Ok, it would have been a miracle if the band could top the masterful moments of their debut or even released an equal material, still ''Centurie'' is a great album, among the very good releases of 90's Polish Prog.Exploring the territories of extreme lyrical and passionate Neo Prog, ''Centurie'' is another nice offering by Abraxas, moving from sensitive pieces to more bombastic and dynamic moments, always supplied by great keyboard parts, electrifying solos and a nice dose of acoustic soundscapes, which have a very romantic sound.Even in these later cuts the unique vocals of Lassa and the ethereal keyboard parts make them far from syrupy and pale ballads.The rest of the material comes in a familiar Abraxas style.Majestic passages with grandiose synthesizers, delicate piano interludes and thrilling electric guitars, always supported by Lassa's personal singing approach.The longer ones contain nice variations with plenty of more symphonic vibes, excellent heavy riffs, haunting keyboards and of course nice shifting moods between laid-back passages and pounding instrumental work with a dramatic atmosphere.There is still something missing to reach the ultimate inspiration of ''Abraxas'', but the good moments in ''Centurie'' are more than enough. The next year the album was released in its English version, containing also a cover on King Crimson's ''In the court of the Crimson King''.Preferably stick with the original Polish version, which has its own charm.Nevertheless, this is very good, atmospheric and well-executed Neo Prog with plenty of conveincing material.Strongly recommended...3,5 stars. 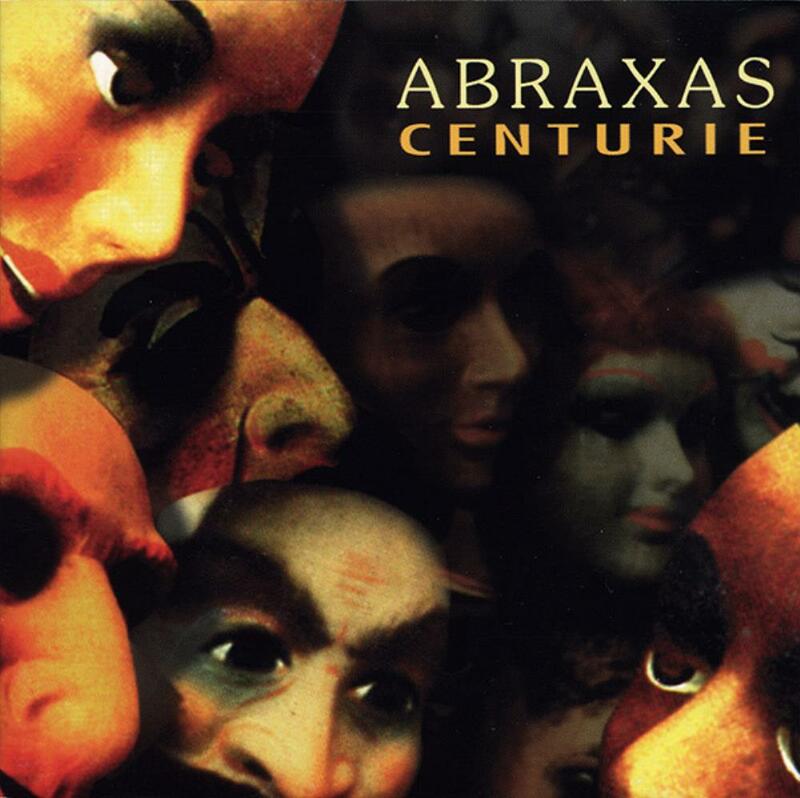 Post a review of ABRAXAS "Centurie"